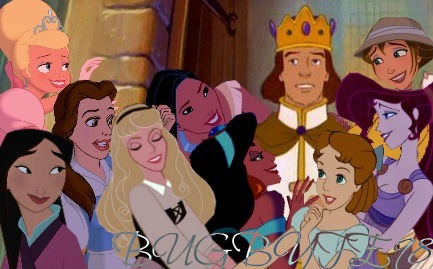 Prince Derek's प्रशंसक Girls.... Dereka nd all of his lovely fangirls :) (P.S. His प्रिय प्रशंसक Girl is Megara ;)). Wallpaper and background images in the डिज़्नी क्रॉसोवर club tagged: belle megara lottie jane wendy aurora jasmine mulan pocahontas derek.